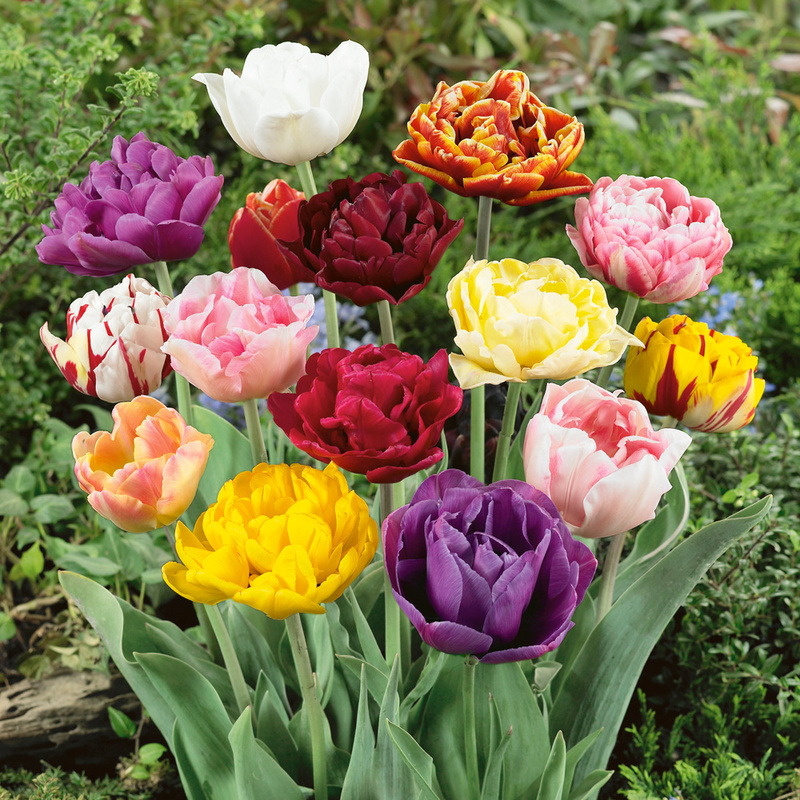 Our colourful mixture of double late flowering Tulips will produce giant peony shaped flowers from April/May, on sturdy 45-60cm stems. The luxurious ruffled flowers are a great way of adding some style to a spring display. 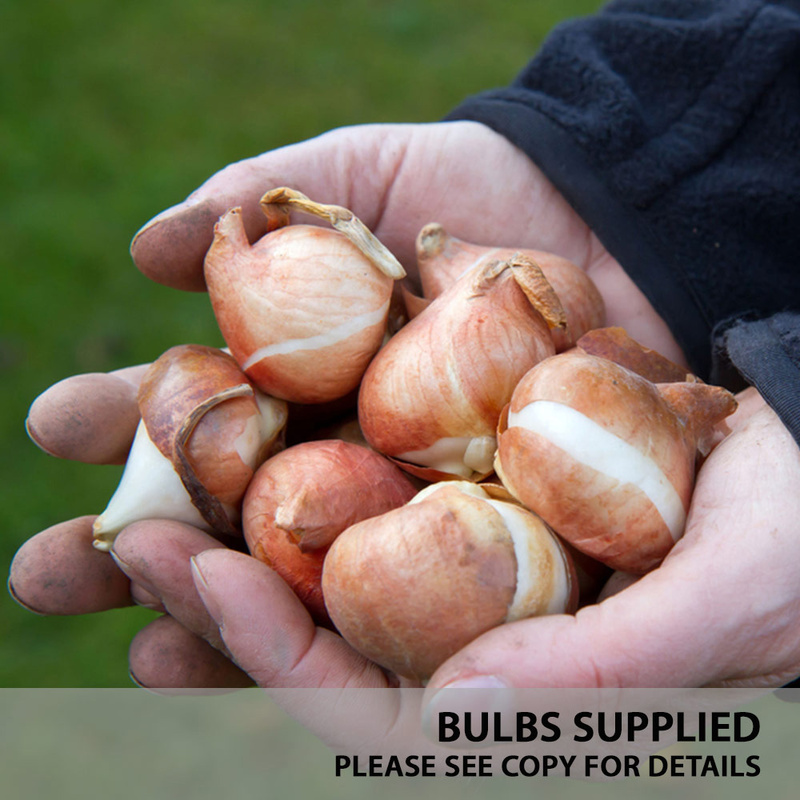 Supplied as 10/11cm bulbs. Normally priced at £6.49 for pack of 15, now available to our email subscribers for only £1.99- Saving £4.50 off RRP.